In order to get a better grasp on what you need for your unique application and industry we highly recommend speaking with a highly experienced metal stampers manufacturing who will be able to diagnose your application and provide you with the best possible solution. While there may be a number of different processes within metal stamping, a skill metal stamper will be able to perform a number of different processes in order to cater to a wide range of clients. 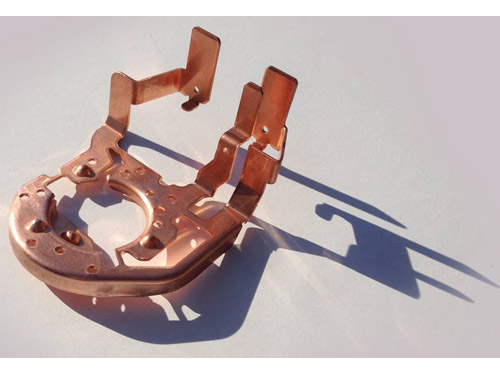 Stamped Copper Bus Bar – G&M Mfg. Corp. The reason that metal stampers are so popular is due to the fact that the metal stamping service is an incredibly cost effective one because it is able to produce material intensive parts much quicker than any other traditional method. On top of that, metal stampers are able to produce parts that are of high of quality as they are quickly made. In fact, the metal stamping process can perform a lot of the same products that are made from other metal forming processes like casting, forging, fabricating, and a number of other processes. The stamping process itself is one that utilizes force on a piece of metal in order to manipulate the material into the desired final product. Not only are there a number of different processes within metal stamping, but a number of different materials can also be used by a skilled metal stamper. Materials such as brass, copper, nickel, aluminum and a wide range of alloys can be manipulated by an experienced metal stamper. 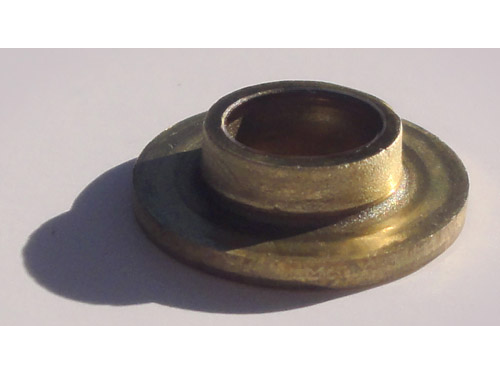 Stamped Brass Eyelet – G&M Mfg. Corp. In order to get the best possible final product, seek out a metal stamper that is willing to listen to your application and unique set of requirements and craft a final product that not only meets these requirements but goes above and beyond your expectations. From automotive stamping to the stamping of spring clips, there are a lot of different styles and uses for metal stampers to excel in. Be sure to find a metal stamper that thrives with your form of application. Metal Stampers There are a number of different metal stampers out there for just about every application, and metal stamping itself can meaning a number of different processes.